Client requested ZeroBlue to build them a CMS (content management system) website from the ground up with the latest PHP/mySQL and CSS. The site is optimized for mobile browsers, as well as the most-used browsers on both Mac and Windows. Job listings are pulled from an external data source. 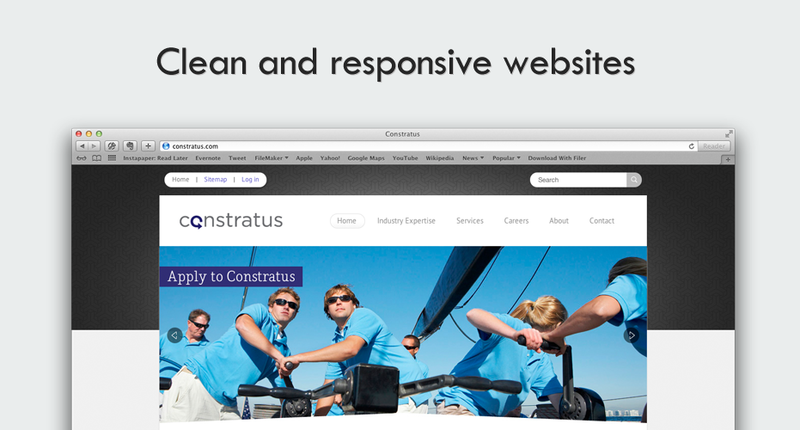 Constratus is a management consulting, technology services, and staff augmentation company which currently serves a select group of clients across the United States. They needed a content driven web site that the users can easily update, it is fast and secure and can connect to another data source.